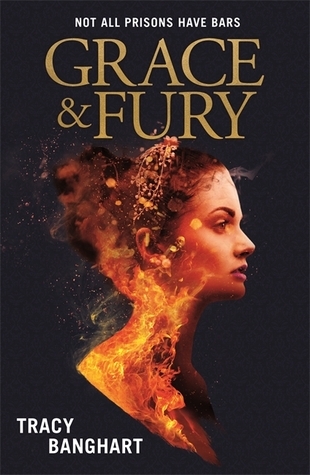 Bold, brutal, and beautiful, Grace and Fury by Tracy Banghart is set to release on July 31, 2018, and this powerfully feminist read promises to be a must-read fantasy full of fierce sisterhood, action, and political intrigue. In a world where women have no rights, sisters Serina and Nomi Tessaro face two very different fates: one in the palace, the other in prison. Serina has been groomed her whole life to become a Grace–someone to stand by the heir to the throne as a shining, subjugated example of the perfect woman. But when her headstrong and rebellious younger sister, Nomi, catches the heir’s eye, it’s Serina who takes the fall for the dangerous secret that Nomi has been hiding. Now trapped in a life she never wanted, Nomi has only one way to save Serina: surrender to her role as a Grace until she can use her position to release her sister. This is easier said than done. A traitor walks the halls of the palace, and deception lurks in every corner. But Serina is running out of time, imprisoned on an island where she must fight to the death to survive and one wrong move could cost her everything. 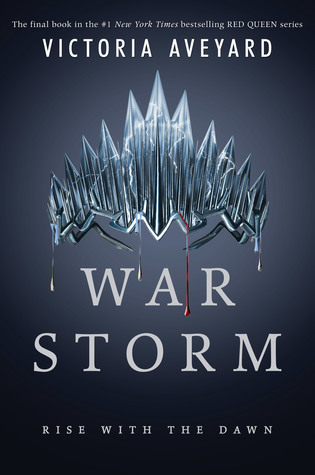 On May 15, 2018, the #1 New York Times bestselling Red Queen series by Victoria Aveyard came to a stunning conclusion with the release of the fourth book in the series, War Storm. In this epic conclusion to Victoria Aveyard’s stunning series, Mare must embrace her fate and summon all her power . . . for all will be tested, but not all will survive. Victory comes with a price. Mare Barrow learned this all too well when Cal’s betrayal nearly destroyed her. Now determined to protect her heart—and secure freedom for Reds and newbloods like her—Mare resolves to overthrow the kingdom of Norta once and for all . . . starting with the crown on Maven’s head. But no battle is won alone, and before the Reds may rise as one, Mare must side with the boy who broke her heart in order to defeat the boy who almost broke her. Cal’s powerful Silver allies, alongside Mare and the Scarlet Guard, prove a formidable force. But Maven is driven by an obsession so deep, he will stop at nothing to have Mare as his own again, even if it means demolish everything—and everyone—in his path. War is coming, and all Mare has fought for hangs in the balance. Will victory be enough to topple the Silver kingdoms? Or will the little lightning girl be forever silenced? Set to release in North America on July 31st, 2018, The Girl You Thought I Was by Rebecca Phillips promised to be “a charming and poignant ode to the seasons of friendship, family, and love, and what happens when we dare to reveal our most messy selves” (Darcy Woods). 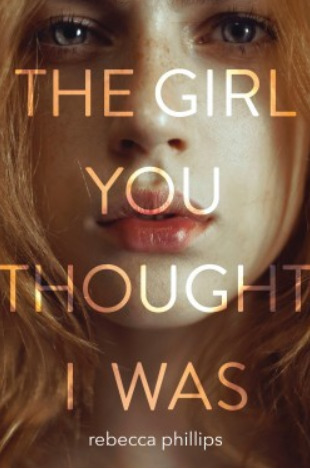 (Disclaimer: I received an Advanced Reader Copy of The Girl You Thought I Was by Rebecca Phillips from Harper Collins Canada in exchange for an honest review). No one looking at Morgan Kemper would think she had a secret-at least not one that she’s deeply ashamed of. To everyone she meets, she comes across as sweet, pretty, and put together. But Morgan knows that looks can be deceiving. For over a year, she’s shoplifted countless pieces of clothing and makeup. Each time she tells herself it will be the last, and each time it never is. But when she’s caught and sentenced to thirty hours of community service, the image Morgan has carefully constructed starts to crumble. She’s determined to complete her punishment without her friends discovering the truth about her sticky fingers, but that’s easier said than done…Especially once she meets Eli, the charming, handsome nephew of the owner of the charity shop where Morgan is volunteering. Soon, Morgan is faced with an impossible decision: continue to conceal the truth or admit that she’s lied to everyone in her life, including the boy she’s falling for. 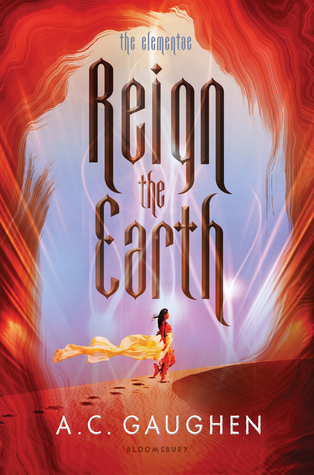 Reign the Earth by A.C. Gaughen was released in North America on January 30, 2018, and while it was on my Reading List, it wasn’t one I was really highly anticipating, so I did not get to it until March, in the form of an audiobook I listened to whilst at the gym, driving to and from work, and around the house. Shalia is a proud daughter of the desert, but after years of devastating war with the adjoining kingdom, her people are desperate for peace. Willing to trade her freedom to ensure the safety of her family, Shalia becomes Queen of the Bonelands. But she soon learns that her husband, Calix, is motivated only by his desire to exterminate the Elementae—mystical people who can control earth, wind, air, and fire. Even more unsettling are Shalia’s feelings for her husband’s brother, which unleash a power over the earth she never knew she possessed—a power that could get her killed. As rumors of a rebellion against Calix spread, Shalia must choose between the last chance for peace and her own future as an Elementae. The Bird and the Blade is a lush, powerful story of life and death, battles and riddles, lies and secrets from debut author Megan Bannen. 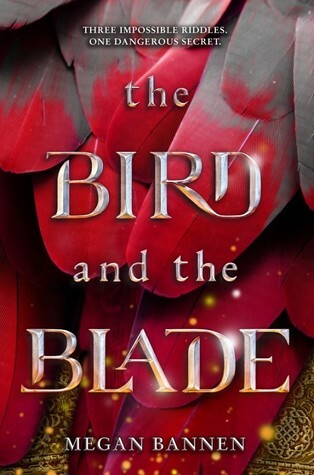 Set to release in North America on June 5, 2018, The Bird and the Blade is sure to stun fans of the YA Fantasy genre, and those who enjoy a well told, creative retelling. Disclaimer: I received an Advance Reader’s Copy of The Bird and the Blade by Megan Bannen from Harper Collins Canada in exchange for an honest review. As a slave in the Kipchak Khanate, Jinghua has lost everything: her home, her family, her freedom … until she finds herself an unlikely conspirator in the escape of Prince Khalaf and his irascible father as they flee from their enemies across the vast Mongol Empire. On the run, with adversaries on all sides and an endless journey ahead, Jinghua hatches a scheme to use the Kipchaks’ exile to return home, a plan that becomes increasingly fraught as her feelings for Khalaf evolve into a hopeless love. Jinghua’s already dicey prospects take a downward turn when Khalaf seeks to restore his kingdom by forging a marriage alliance with Turandokht, the daughter of the Great Khan. As beautiful as she is cunning, Turandokht requires all potential suitors to solve three impossible riddles to win her hand—and if they fail, they die. Jinghua has kept her own counsel well, but with Khalaf’s kingdom—and his very life—on the line, she must reconcile the hard truth of her past with her love for a boy who has no idea what she’s capable of … even if it means losing him to the girl who’d sooner take his life than his heart. In Isle of Blood and Stone, Makiia Lucier explores the repercussions of a story eighteen years in the making, that began when two princes vanished. Now, eighteen years later, a riddle hidden on a recently uncovered mysterious map could chart a course towards the truth and the missing royals. Set to be released in North America on April 10, 2018, this historical fantasy that’s perfect for fans of Rachel Hartman and Tamora Pierce! 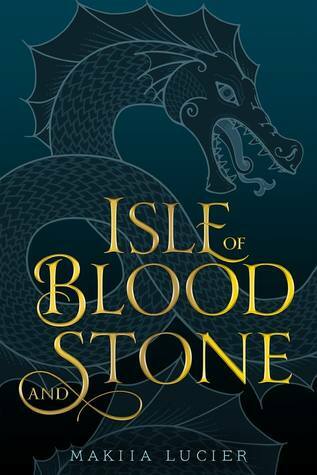 (I would like to thank Raincoast Books for providing me with an Advance Reader’s Copy of Isle of Blood and Stone by Makiia Lucier in exchange for an honest review). Eighteen years ago two princes of the island kingdom of St. John del Mar were kidnapped and murdered, a deadly plot by the rival kingdom of Mondrago. Everyone knows the story, but for Elias, Mercedes, and Ulises, the aftermath of that tragic day is deeply personal. Elias grew up without his father, who was killed trying to protect the princes. Mercedes is half-Mondragan, leaving her to grow up in the shadow of del Mar’s hate. And Ulises, as the youngest and only remaining prince, inherited the throne meant for his older brothers. Now, the three friends just want to move on with their lives. But when two maps surface—each with the same hidden riddle—troubling questions arise. What really happened to the young princes? And why do the maps look like they were drawn by Elias’s father, whose body was never found? To discover what really happened that fateful day, Elias, Mercedes, and Ulises must follow the clues hidden in the maps, uncovering long-held secrets and unimaginable betrayals along the way. But the truth is dangerous, and not everyone wants it to come out. Following the success of Rebel of the Sands and Traitor to the Throne by Alwyn Hamilton, the third and final book in the trilogy, Hero at the Fall, was released in North America on March 6, 2018, and promises to be a breathless finale to the New York Times bestselling Rebel of the Sands series. It will have readers on the edge of their seats until the dust from the final battle clears! Released in North America on January 2, 2018, Between the Blade and the Heart by New York Times bestselling author Amanda Hocking is the first book in a brilliant new young adult fantasy duology inspired by Norse mythology that is sure to be popular with fans of Riordan’s Percy Jackson. When the fate of the world is at stake, loyalties will be tested. As one of Odin’s Valkyries, Malin’s greatest responsibility is to slay immortals and return them to the underworld. The balance of the world rests on her ability to carry out orders. But when Malin discovers that her mother spared the life of an immortal who was destined to die, her world is thrown into chaos. As Malin wrestles with the knowledge that her mother might not be who she thought, she’s also thrust into the path of a gorgeous blue-eyed guy named Asher who needs her help slaying the rogue immortal who destroyed his family. Malin, along with her best friend and her ex-girlfriend, must decide where her loyalties lie…and whether helping Asher enact his revenge is worth the risk—to the world and to her heart. Hi Bookworms! I have some really exciting news to share with you all – I will be participating in the Sea of Strangers Blog Tour, presented by Entangled Teen! The Blog Tour runs from December 11 – 29 (M-F), and I will be hosting the tour stop on December 27, 2017! Sea of Strangers by Erica Cameron, is the second book in an epic fantasy series titled the Ryogan Chronicals (you can find my review for Island of Exiles here), by Cameron, which will be released on December 5th, 2017. 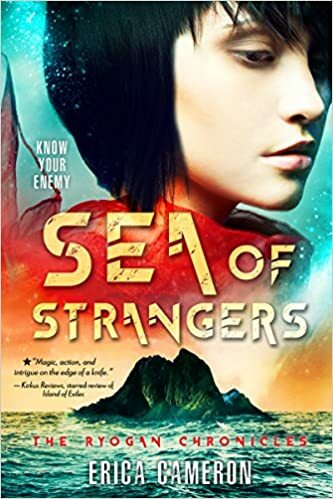 The Ryogan Chronicles is currently predicted to be a trilogy, so there’s at least one more book to look forward to in this fresh and exciting fantasy series (Disclaimer: I received an Advanced Reader Copy of Sea of Strangers from Entangled Teen in exchange for an honest review)!